EUGENE Torre, Mona Sulaiman, and Felicisimo Ampon lead the second batch of Filipino sports greats to be inducted into the Philippine Sports Hall of Fame on January 25 at the Century Park Hotel in Manila. 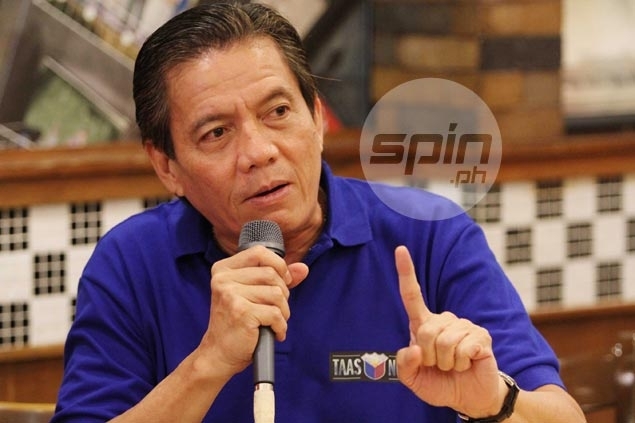 Philippine Sports Commission (PSC) chairman Richie Garcia said during Tuesday’s Philippine Sportswriters Association (PSA) Forum that after a careful and thorough selection process, 17 Philippine sports legends have been chosen for the Hall of Fame this year. Heading the list is Torre, who became Asia’s first grandmaster in 1974 at age 22. Sulaiman, on the other hand, was the fastest Filipina sprinter of her time, winning three gold medals in the 1962 Asian Games. Ampon, most notably known as ‘The Mighty Mite,’ is considered the greatest Filipino tennis player of all time, being the only Filipino to see action in the singles competition at Wimbledon. Three basketball greats will also be inducted into the Hall of Fame, namely Kurt Bachmann, Ed Ocampo, and Mariano Tolentino. Bachmann was part of the last Philippine basketball team that won a gold in the Asian Games in 1962, while Ocampo captured two Asian Basketball Confederation (ABC) Championship crowns in 1960 and 1963. Tolentino, meanwhile, was a member of the Philippine team that captured bronze in the 1954 World Championship. Haydee Coloso-Espino, Jacinto Cayco, Mohammad Mala, and Gerardo Rosario of swimming, Raymundo Deyro and Johnny Jose of lawn tennis, Inocencia Solis and Isaac Gomez of athletics, Martin Gison and Adolfo Feliciano of shooting, and Salvador Del Rosario of weightlifting complete the new set of Hall of Fame inductees. Garcia said the newly-inducted Hall of Famers will be given a check of P100,000 and a plaque in the ceremony that will coincide with the 26th year anniversary of the government sports agency. Nominations were submitted to a subcommittee composed of Philippine Olympic Committee (POC) official Romeo Magat, Games and Amusements Board commissioner Fritz Gaston, PSA president Reira Mallari of The Standard, and veteran sportswriter Eddie Alinea. The recommendations were then submitted to a committee made up of Garcia, POC president Jose ‘Peping’ Cojuangco, vice president Joey Romasanta, and secretary general Steve Hontiveros, GAB chairman Ramon Guanzon, Gaston, former International Olympic Committee representative to the Philippines Frank Elizalde, Magat, and sports columnist Joaquin Henson of the Philippine Star. Garcia hopes the Hall of Fame will serve as an inspiration to the youth, especially young athletes to follow the examples of greatness set by the inductees. “We really want that our youth to aspire to someday be a part of the Hall of Fame,” Garcia said.